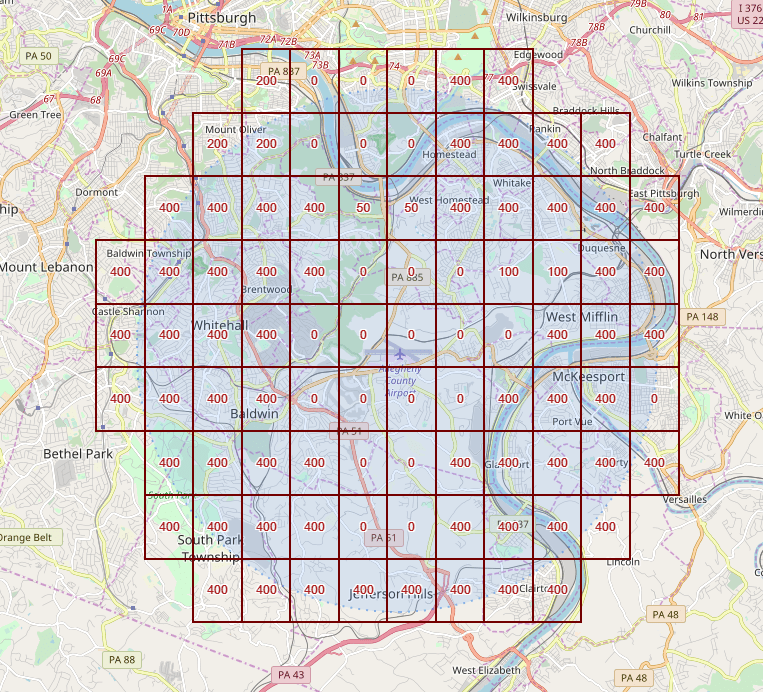 The whole of the Borough Of West Mifflin and much of the surrounding boroughs are under the Allegheny County Airport (AGC) Class D Airspace. Class D airspace extends a 5 (five) mile radius from the Airport tower. The Borough of West Mifflin, and the West Mifflin Borough Police Department take public safety, and the safety of the National Air Space very seriously and work very closely with the Allegheny County Airport Authority and the Federal Aviation Administration to promote safety both on the ground and in the air. Due to the proximity of the borough to the Allegheny County Airport and the constant, heavy air traffic in the area, unapproved use of Unmanned Aircraft Systems (drones) – recreational, and commercial – within the borough borders is prohibited absent explicitly FAA approval. Unauthorized drone activity in the Borough of West Mifflin can be reported to the West Mifflin Borough Police Department for investigation. Always check with the FAA and the local municipality before you fly. To learn more about flying your drone safely, how to register your drone, become a commercial drone pilot, fly approved and more, check out the FAA UAS Website.